It started with a meeting at a coffee shop on 9th Avenue. I had written my first play and while it had received a staged reading, it had never been fully produced. Naïve to how the business worked, I handed my play to anyone I thought might read it. This time it paid off, and I found myself face-to-face with Johanna Pinzler. Raised in New York, Johanna has been performing since she was a child. Johanna began as an actor, earning her BA in theatre from the University of Wisconsin-Madison. But she's always enjoyed directing. Because of her limited experience, she found it difficult to find professional work as a director, so she did what any self-empowered woman would do: she co-founded a theatre company and started creating her own opportunities. Dedicated to producing new work, the Ergo Theatre Company not only gave me my first New York production, but they also gave me instant community. My closest friendships all link back to that production in some way. It was truly a collaborative endeavor. We took turns house managing, folding programs, and taking tickets. We brought items from home to dress the set and some of the actors wore their own clothes. There’s something quite humbling about knowing that so many people are investing their time and talent into telling your story. At the time, I was working at a litigation copy company that was going out of business. One of the shift managers – who I feel fairly confident was running both drugs and hookers out of the shop – said I could make all the copies I wanted as long as we did it before the machines got repossessed. So one afternoon, on the down low, Johanna and I frantically made color copies of our posters, which we then hung around town. Johanna provided me with an opportunity to see my work fully realized on stage. It was my first experience being part of the collaborative process as a writer. I learned how to communicate with actors and a director, how to take notes, when to fight for my work, and the joy of seeing my work fully realized. Our professional relationship quickly became a friendship. I would spend Thursday nights hanging out at Brandy’s, a piano bar on the Upper East Side, where she used to work. We supported one another, seeing readings and productions. We formed a tribe of other young theatre artists who became our support and sounding board. For several years I celebrated Thanksgiving at her father’s apartment on the Upper West Side where we would talk about art, politics, and theatre. When I decided to write and perform my own one-woman show, I turned to Johanna. I was stepping out of my comfort zone and I knew I needed someone who would challenge me in all the right ways. We spent three days locked in a church kitchen (where I performed the show) while I figured out how to tell my story. And when I questioned whether or not I could do it, Johanna was there with affirmation. Sometimes we take a circuitous route to get to where we are meant to be. Since earning her MFA in acting from Brooklyn College, Johanna has been primarily teaching and directing. 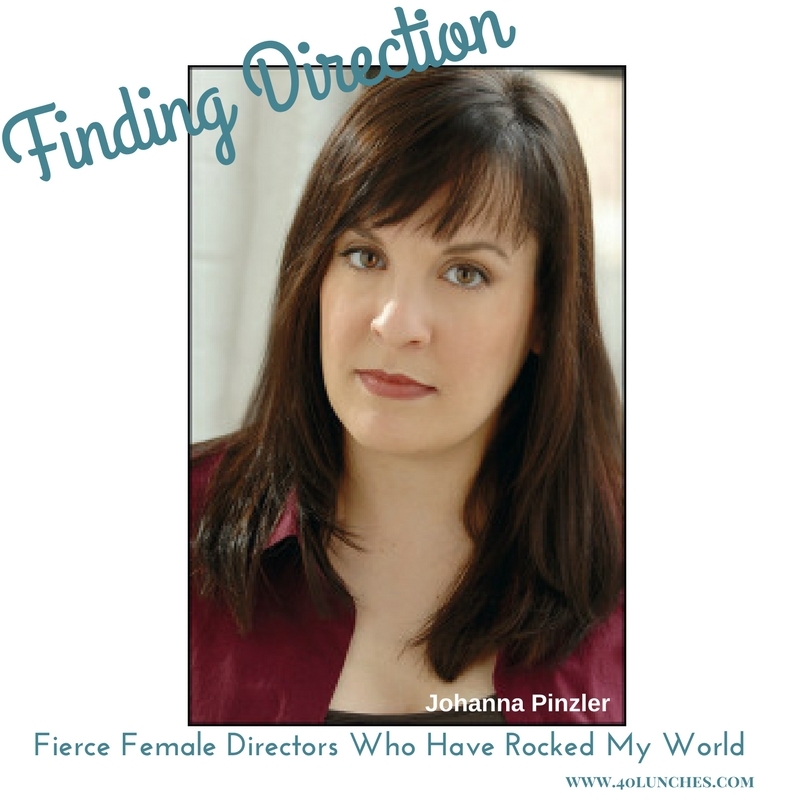 Her training as an actor gives her a unique perspective on her work as a director. “One of my favorite things about teaching is helping burgeoning theatre artists work outside their comfort zone and learn something new purely by seeing what they thought they already knew from another perspective,” she explains. We meet during a quick trip to New York and sit at Gitane in Soho. We are both kid-free and marvel at the simple pleasure of being able to talk without interruption. With an ear-to-ear grin and an infectious laugh, Johanna is the kind of person who doesn’t just hug, but rather envelopes you in her arms. We talk about piecing together lives in academia and how similar it is to the life of an artist. Our conversation quickly turns to our daughters, both smart, funny, and spirited. Since my daughter was born, Johanna has been there to offer advice without judgment. We often discuss how to balance our family life with our creative life. “I had a mother who loved her job and worked very hard, sometimes for very long hours, and I survived it. More than that, I learned that having a job you love and being a good mother are not mutually exclusive,” she explains. To learn more about Johanna's work visit her website here. Read more about the 40Lunches Project and follow along on Facebook and Twitter.